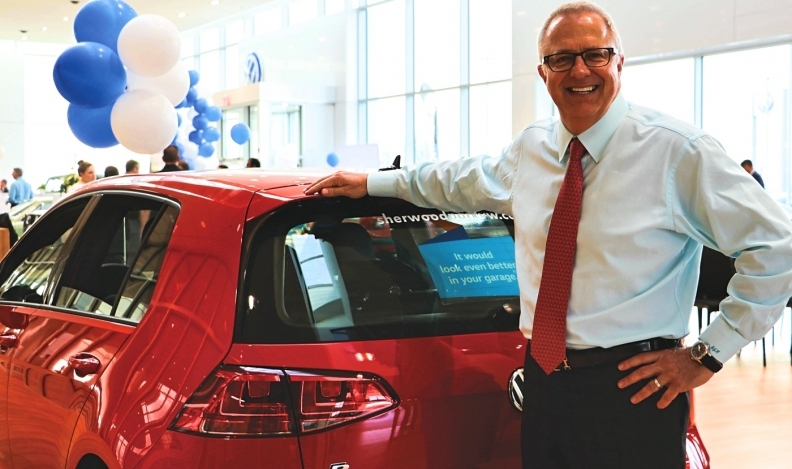 AutoCanada CEO Steven Landry has been trying to diversify the company's brand offerings and geographical footprint. AutoCanada Inc.’s net income jumped 31 per cent in the first quarter from a year earlier, even as revenue and vehicle sales at Canada’s only publicly held dealership group declined. The retailer had 54 dealerships at the end of the quarter, down from 56 a year earlier. Net income rose to $4.8 million (US$3.7 million), the company said after markets closed on Thursday. Revenue fell 2.9 per cent to $620.5 million (US$482 million), while total vehicle sales dipped 3 per cent to 12,667 units. The sales decline was driven in large part by a 16 per cent decline in fleet sales of new vehicles. In March, AutoCanada, of Edmonton, Alberta, announced it would buy nine stores from the Grossinger Auto Group in the Chicago area, including its first Toyota, Honda, Lincoln and Volvo stores. It marked the company’s first venture into the U.S. and was part of a larger push by CEO Steven Landry to diversify the company’s brand offerings and geographical footprint. The deal was announced in the first quarter but closed in April and therefore did not affect first-quarter results. Sales: Total new-vehicle sales were down 4.3 per cent to 8,140 units, including a 1.3 per cent decline in new-vehicle retail sales. Used-vehicle sales were flat, dipping just 20 units to 4,527 vehicles. Same-store data: On a same-store basis, revenue rose 4.6 per cent from a year earlier to $562.1 million (US$437 million). Same-store new-vehicle sales rose 3.9 per cent, while used vehicle sales gained 1.9 per cent. Same-store gross profit rose 1 per cent to $95.5 million (US$74.3 million). The company said it saw rises in both volume and average revenue per vehicle sold in the first quarter. “Our same store performance was very good, with improvements in every part of the business. The combination of growing the business through acquisitions while improving our operating performance of existing dealerships shows our strategy is working and gives us good reason to be optimistic,” CFO Chris Burrows said in statement. Profits: The company reported total gross profit of $104.3 million (US$81.1 million), down 6.5 per cent from a year earlier. Outlook: In its release, AutoCanada said its capital strategy and bank credit agreements make the company “flexible and efficient” enough for further acquisitions in 2018. AutoCanada has 68 dealerships selling 27 brands in Canada and the U.S.